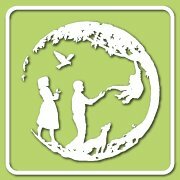 Jane Goodall’s Roots & Shoots is the youth-led community action and learning program of the Jane Goodall Institute. The program builds on the legacy and vision of Dr. Jane Goodall to place the power and responsibility for creating community-based solutions to big challenges in the hands of the young people. Through the program, young people map their community to identify specific challenges their neighborhoods face. From there, they prioritize the problems, develop a plan for a solution, and take action. Compassionate Leadership Through Service Learning with Jane Goodall and Roots & Shoots via Coursera 2-6 hours a week , 6 weeks long 2-6 hours a week , 6 weeks long 13th May, 2019 No reviews yet.